Climb on board HMS Caroline on August 10th for their Wartime Woollens Workshop! Come along and learn about textiles, make do & mend and knitting for the navy with artist Unagh McCullough. This is a free event but booking is essential, email caroline@nmrn.org.uk to book your place. On 5th August The Mac in Belfast plays host to Northern Ireland’s largest gathering of breastfeeding mothers. Breastival is a celebration of breastfeeding, aiming to normalise what has often been a controversial issue in Northern Ireland. Despite the NHS and World Health Organisation recommendation that children be breastfed until the age of two, only 7% of children in Northern Ireland are breastfed past the age of six months. Founder of Breastival, Belfast based mum Jennifer Hanratty, says “breast is not best, it’s biologically normal and it needs to become socially and culturally normal again and just because breastfeeding is natural doesn’t mean it is easy. Mum and baby need to learn together and family and wider society need to support and protect them. Breastival will be an opportunity for everyone to learn and celebrate the amazing experience breastfeeding can be when it is well supported.” Breastival welcomes all supporters of breastfeeding and those who want to learn more about it. Featuring renowned pharmacist Dr Wendy Jones alongside local experts, Breastival also aims to break the Northern Irish record for ‘The Global Big Latch On’ where women around the world gather together to breastfeed at 10.30am. We are excited to have Nuala McAllister, Lord Mayor of Belfast acting as the official counter for our record attempt. Breastival has over 500 people registered to attend including nursing mothers, expectant parents, kids, friends and family. Discussions, interactive workshops and demonstrations are being led by industry experts including Pharmacist Dr Wendy Jones, Parenting NI, Bravissimo and breast surgeon Ciara McGoldrick. An exhibition of ‘More Than Milk’ features contributions from over 100 local parents showcasing the realities of breastfeeding as part of everyday life. Join us in Portaferry for our Lough Lively sessions, where music comes to life. This week you can see Runabay, six musicians from the Glens of Antrim who through their passion for harmony and melody have been writing and recording since 2013. 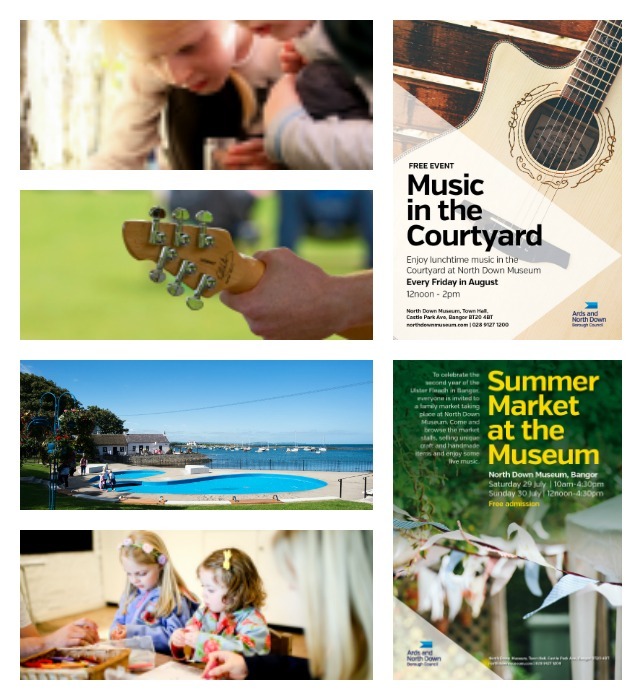 Come along to Groomsport for free family fun every weekend from now until September. A family market featuring a varied selection of must buys. Set in the beautiful surroundings of the Museum this promises to be a wonderful weekend. Join us for live music every Sunday in July and August. This week celebrate the last day of the Ulster Fleadh with musicians from Ards and North Down Comhaltás. Bring the little ones along to Portaferry VIC for free family entertainment every Saturday in August. Join us for live music every Sunday in August. This week, see The 19th Street Band deliver an exciting mix of red hot Americana, country and rock ‘n roll. Bangor based artists draw on their experiences of living and working within the beautiful borough of Ards and North Down. A showcase of the high concentration of artists and craft persons living and working in the Ards Peninsula. Coordinated by Craft NI, August Craft Month at The Market Place Theatre & Arts Centre is the annual celebration of contemporary craft in Northern Ireland encouraging audiences to learn more about contemporary and traditional craft through workshops, exhibitions, demonstrations, talks, fairs and other exciting craft events. The Market Place Theatre have teamed up with experienced willow and textile weavers Sabine Wolniczak and Nicola Gates to host two weekends of fantastic weaving workshops. On 4 and 5 August, you can come along and participate in exploring some of the techniques of Willow Basket Weaving. With the assistance of experienced craft tutor and basket-maker Sabine Wolniczak from Beaghmore Baskets you will spend the two days making a natural and bespoke round shopper with handle using locally grown, harvested and seasoned willow. You are guaranteed to embark on a stimulating and invigorating experience. All materials will be supplied. The workshops will run from 10am to 4pm each day and participation costs £80 or £75 (concession). 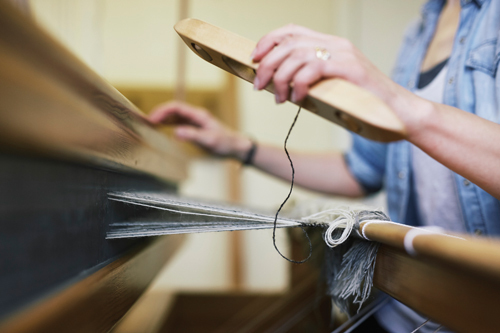 Then in our two-day Introduction To Tapestry Weaving workshop on 11 and 12 August, you will learn the foundation skills of tapestry weaving on a simple frame loom. As well as covering the basic techniques, the workshop will encourage individual expression and experimentation. On day one we will focus on learning the basics of plain weave, creating shapes and textural techniques such as rya knotting and sumak, to create a small sampler. Working at your own pace, on day two you will have the chance to create a small abstract wall hanging, exploring texture, colour and composition. The workshops run from 10am to 4pm each day and participation costs £55. Enjoy a 4 star ‘Proms In The Park’ weekend break from £95pp. This 2 night stay includes buffet breakfast, complimentary on site car parking and is ideally located 1.4 miles from Castle Coole, the venue for this year’s BBC’s Proms in the Park concert. Price is based on 2 persons sharing. Offer available 8-9 September only. Enjoy a fabulous 3-night break staying at this 4 star accommodation in the Causeway Coast this Summer. Visit all the attractions this spectacular area has to offer including the Giant’s Causeway, Bushmills Distillery, Dunluce Castle and Carrick-a-Rede Rope Bridge to name but a few. To book call 028 2074 1608 quoting “Discover NI 3 or 4 night Summer Offer.” Offer ends 30 September. Enniskeen Country House hotel is a mountainside hideaway. The family run hotel rests in the lush Shimna Valley just outside Newcastle County Down. Explore the hotel’s stunning 12 acre estate during winding woodland trail down to the Shimna river and enjoy the striking views over the Mourne Mountains and sea. 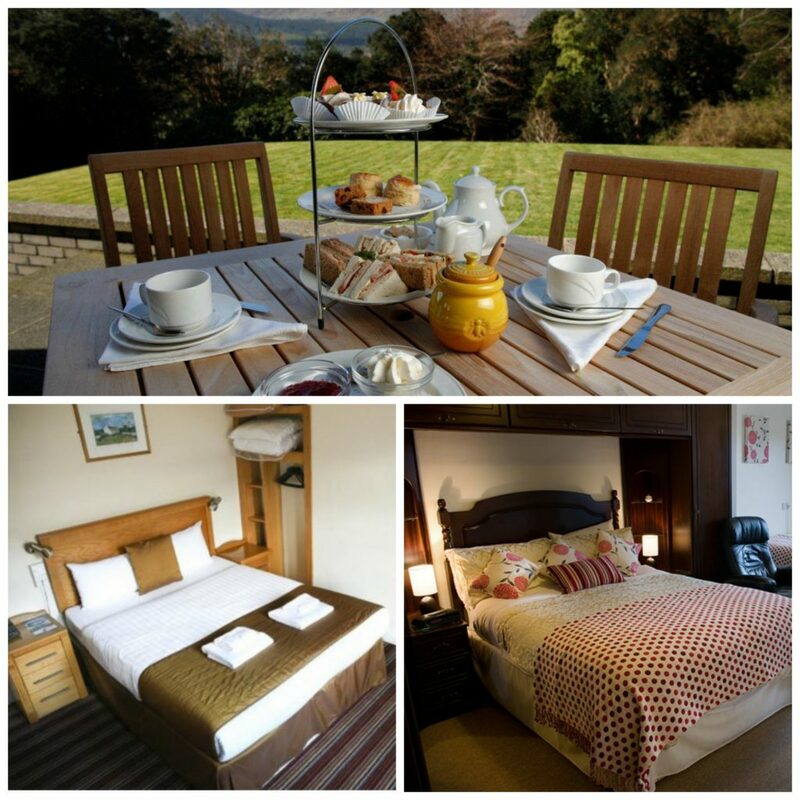 Break includes 2 nights ensuite accommodation with full Irish breakfast each morning and one evening meal. Offer ends 11 November. One of the region’s biggest and best-attended annual events is set to soar this year, boosted by high flying support from Rockwell Collins Kilkeel. Looking forward to the 2017 Festival of Flight are brother and sister Charlie (10) and Holly (5) McShane from Newcastle. Organised by Newry, Mourne & Down District Council and sponsored by Rockwell Collins, the 2017 celebration of all things aeronautical on Saturday 5 August will attract more than 100,000 people to the region to enjoy an aerial spectacular headlined by the Red Arrows and featuring a vast range of historic and contemporary aircraft, while at ground level there will be a packed programme of free family entertainment … and Charlie and Holly mean to be part of the action! 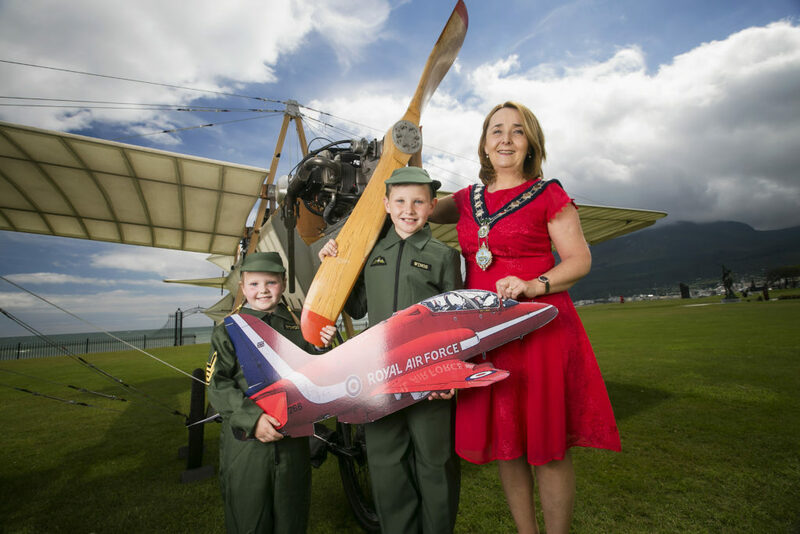 A world-leading company in the aviation sector, and a major private sector employer in the region, Rockwell Collins will be backing Newry, Mourne and Down District Council’s Festival of Flight on Saturday 5 August. This will be the sixth successive year of support for the mega-festival from a business which manufactures seats for the world’s major airlines at its Kilkeel factory. The 2017 event is expected to attract more than 100,000 spectators to marvel at an afternoon of aerial extravaganza headlined by the world famous Red Arrows aerobatic team, supported by a packed programme of on-the-ground family fun, centred on Newcastle. Welcoming the injection of private sector investment in the Festival of Flight, Councillor Roisin Mulgrew, Chairperson of Newry, Mourne and Down District Council, said, “Given its global reputation in aviation, and its prominent position within the economy of our region, Rockwell Collins is the perfect partner for our annual aerial spectacular and we are delighted to welcome them on board. Thanks to their generosity we are able to build on the success of this fantastic event, taking it to new heights and maximising its positive impact on our hospitality sector. Looking forward to this year’s aerial extravaganza, Martin McGinley, Vice President and Managing Director of Rockwell Collins Kilkeel, said, “Rockwell Collins is a global leader in aviation and high-integrity solutions, providing world markets with a comprehensive portfolio of products and services that can transform our customers’ futures. Aviation is both our business and our passion and, through our longstanding support for the Festival of Flight, created and staged by Newry, Mourne & Down District Council, we are delighted to share that passion for aviation with our local community, and with the tens of thousands of visitors who will visit our region to enjoy one of Ireland’s biggest, best-attended, and most spectacular air shows. “For us, this is an opportunity to put something back into our local community and we look forward not only to the adrenalin rush of world-class aerial display in a truly world-class location, but also to a weekend which provides a significant economic boost for the region’s tourism and hospitality sector. “On behalf of everyone who will enjoy the drama in the skies over Dundrum Bay, I commend the vision of Newry, Mourne Down District Council in ‘thinking big’ and making this event such an important annual highlight of Northern Ireland’s Summer events season. Thanks also go to the diverse agencies, organisations, communities and individuals who combine expertise, boundless enthusiasm with a vast amount of preparation to create this wonderful high-flying programme. Big Marketplace, 5th August, Portadown! Danann Crafts Annual “Our Big Marketplace” is back Sat 5th August at High Street Mall, Portadown to celebrate Craft NI August craft month. Great family event with Live demos, loads of craft stalls, food plus great craft for the kids. This is just some of the amazing happenings at our event, so are you coming? Please #share & #tag a friend who would be interested …its a FREE EVENT with FREE parking. The Script have announced their return to the stage with two very special Irish shows that will include the Millennium Forum, Derry on August 22nd. Tickets go on sale at 9.30am next Friday, July 28th via Ticketmaster outlets and www.ticketmaster.ie and are priced at £43.50 (including booking fee). Very special guest for both dates is JP Cooper. After almost 3 years since their last release, The Script returned last Friday with their brand new single Rain, out through Columbia Records. Rain was immediately added to playlists up and down the country and stormed straight into the Top 10 on iTunes – it was impossible to miss that The Script were back! Today the Irish three-piece announce more news – their fifth album Freedom Child will be released on 1st September and they will embark on an intimate tour around the UK and Ireland. Their new album, Freedom Child, out on 1st September, sees the band presenting a collection of urgent, timely, future-facing anthems that speak of both real-life events and real-time sonic adventurism. The album was recorded between London and Los Angeles and for the first time, the band chose to work with some outside writers and producers including Toby Gad and Nasri Atweh. The follow up to 2014’s No Sound Without Silence is available to pre-order now from http://smarturl.it/FreedomChild. To coincide with the release of Freedom Child, The Script, who are no strangers to sold out arenas and stadiums, will get up close and personal with their loyal fan base at intimate shows around the country. The tour kicks off at The National Stadium in their hometown of Dublin followed by a show at The Millennium Forum in Derry on 22nd August and will wrap at London’s O2 Academy Brixton on 1st September. Tickets are available to purchase on Friday 28th July from 9.30am with a fan pre-sale starting earlier in the week. For more ticket information, please visit http://www.thescriptmusic.com/. 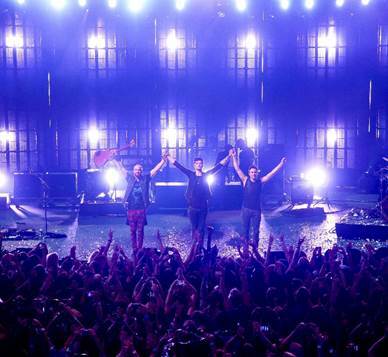 The Script will play the Millennium Forum on Tuesday 22nd August. Tickets go on sale from Ticketmaster on Friday 28th July from 9.30am with a fan pre-sale starting earlier in the week. For more ticket information, please visit http://www.thescriptmusic.com/. DiscoverNorthernIreland.com has stacks of fun things to do across NI, from family days out to gigs and cultural events. Here are 10 exciting things taking place this week (July 31-August 6). August Féile , Belfast, 3 August. Ireland’s biggest community arts festival and summer school returns from 3 – 13 August. 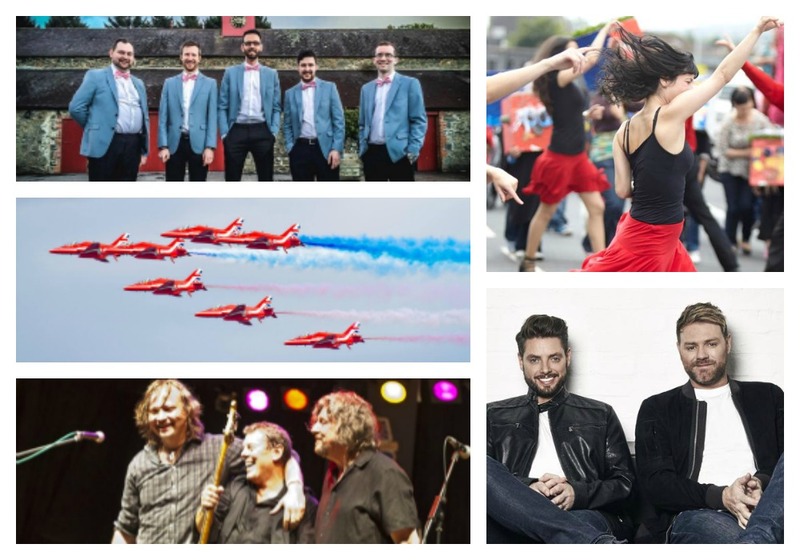 The festival is renowned for attracting top entertainers and this year’s highlights include UB40 featuring Ali, Astro and Mickey, Boyzlife, comedian Jake O’Kane, traditional Irish band Altan and the annual Feile Carnival Parade. Children’s Street Entertainment -Parky, Ballycastle Seafront, 31 July. This show enthrals and excites both adults and children alike. Parky performs a traditional Punch and Judy show with the authentic voice of Mr Punch. Puppets and theatre are traditional in style with slapstick and humour the ingredients of this free show. Bat Night, Craigavon, 4 August. Help identify all eight of Northern Ireland’s bat species that live at Ardress House and make some batty crafts to take home. A perfect evening for kids with an exciting educational twist. Festival of Flight, Newcastle, 4 – 5 August. Festival of Flight 2017 will once again launch a full programme of thrilling events in Newcastle, Co Down with the airshow taking place on Saturday 5 August. The airshow is the centre piece of the festival where the crowds watch in awe as the sky over Dundrum Bay is filled with the roar of engines. Music by the Lake, Fermanagh, 5 August. Midnight Graffiti are back at Crom Estate for another fantastic evening of jazzy pop classics. Bring a picnic and prepare to dance the night away by the shores of Lough Erne. Enjoy a glass of wine on arrival. Performance begins at 7pm. Dungannon’s Busking and Blues Festival, 5 August. Join us for the annual Blues on the Hill festival taking place on the Hill of the O’Neill, a stunning location at one of the most important heritage sites in the whole of Ulster. Take in the fantastic panoramic views as you enjoy music from a number of acts including the headlining Band of Friends. Belfast MasterChef Challenge 2017, 3 August. The Balmoral Hotel’s inaugural Belfast Master Chef Challenge will see four foodie finalists fight it out for the coveted title in front of a live audience at the venue as part of Feile an Phobail. The winner will be decided by a panel of experts as well as an audience vote with proceeds from that process going to Children In Need. Bricklive, Belfast, 3 – 6 August. 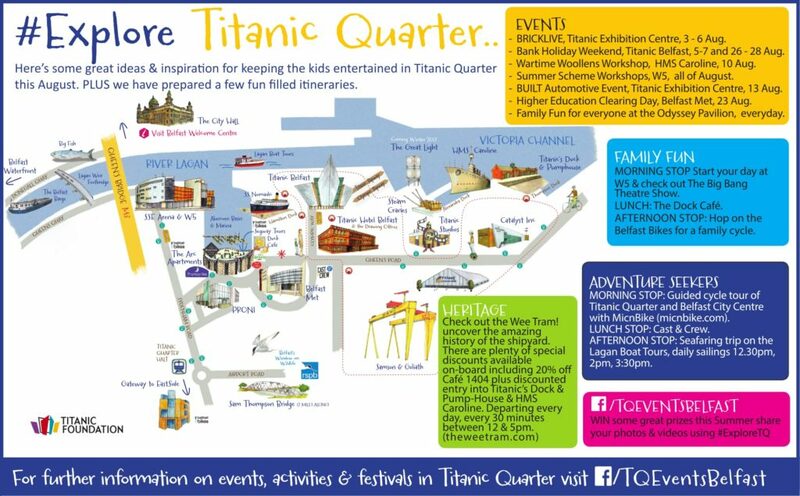 The world’s best Lego builders will gather as the Titanic Exhibition Centre welcomes international professional and amateur displays to the fan zone. The event also include special guests, Lego launches to the live stage and have-a-go themed areas for you to enjoy. Carmen, Millennium Forum, Derry~Londonderry, 4 – 5 August. The dramatic story of the gypsy Carmen and her ill-fated affair with army corporal Don Jose, told through Georges Bizet’s powerful score, is the most popular opera of all time. To book call 028 7126 4455. Wildfire Walk, Belfast, 5 August. Enjoy a walk along the uplands of Cave Hill to highlight the impacts of wildfires on the hills, visitors and wildlife. Find out just how resilient the uplands are and the positive news about what the Belfast Hills Partnership does to combat wildfires. Meeting point: Ballyaghagan car park. For further information call 028 9060 3466. V/I/S/A/G/E is a creative collaboration between Belfast based photographer Carrie Davenport, graphic designer/nightclub promoter Aaron Eakin, Kaizen Print and six of Belfast’s most prominent and prolific Drag Queens. Launching at ArtCetera Studio on Thursday 27th July and exhibiting daily from 11am-5pm until Saturday 5th August, V/I/S/A/G/E comprises of a series of portrait photographs. Each Drag Queen is depicted in both their male and Drag identities, representing the six colours of the rainbow flag. Far from being ordinary photographs, local carpenter Gareth Martin (wishbone & Dagger) has created large scale 3 dimensional frames for us to display the works interactively, with Kaizen Print creating a new method of mounting the works so you can walk around the pieces changing your view as you more around the image. Origins of the term Drag are widely disputed, but it’s believed to be an acronym for ‘Dressed Resembling A Girl’, a theatrical term dating back to Shakespearean plays. More than just fun and colourful entertainers, Drag Queens have been at the forefront of the fight for LGBTQ rights, dating back to the Stonewall riots of 1969. Exhibiting as part of the 2017 Belfast Pride festival, the project’s purpose is to explore, highlight and celebrate an ancient theatrical art form that has evolved from LGBTQ culture to the mainstream. V/I/S/A/G/E at ArtCetera Studio, 43 Rosemary Street, Belfast. Launching Thursday 27th July at 7pm. Open daily (except Sunday) from 11am-5pm. In association with The Maverick. Admission free.